San Clemente "Spanish Village by the Sea"
The YOGA for SURFERS® Teacher Training takes place in San Clemente, which is the surfing capital of South Orange County, California! Known as the “Spanish Village by the Sea,” San Clemente is a friendly, down-to-earth place that is at the heart of the surfing scene. The Training Location is minutes from Gorgeous San Clemente Pier, for convenient surfing anytime! Share an easy smile and a conversation with everyone you meet, and you’ll take home treasured memories. San Clemente has a Mediterranean climate, and September is a beautiful month when the tourists have gone home, but the weather is still warm and the beaches are relatively uncrowded. 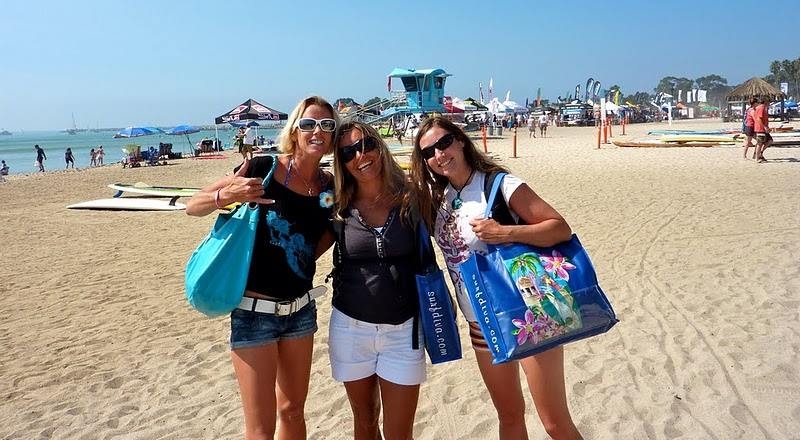 You’ll experience the authentic, local Southern California beach/surf lifestyle that everyone dreams about! You are just minutes from world-class surfing beaches like San Onofre, Trestles, Lowers, T-Street, Salt Creek and Doheny. Imagine yourself here at the Famous Salt Creek BEach, with YFS-TT GRaduate Courtney Noble smacking the lip on this perfect wave! Surfers come from all over the world to surf Trestles, just minutes from our TEacher Training Location! Enjoy the pure stoke after surfing world- famous San Onofre -- perfect for all surf levels and experience! You even get surf coaching from the pros! Famous Doheny Beach in Dana Point is minutes from our TEacher TRaining Location! You'll enjoy the friendly, convenient location of the VOLARE HOTEL in downtown San Clemente. You are just minutes away from shops, cafes, restaurants, markets – and of course, world-class surf breaks! Our Training is held at the convenient and comfortable Holiday Inn in Downtown San Clemente! Discover and enjoy restaurants and cafes with your new YFS friends! 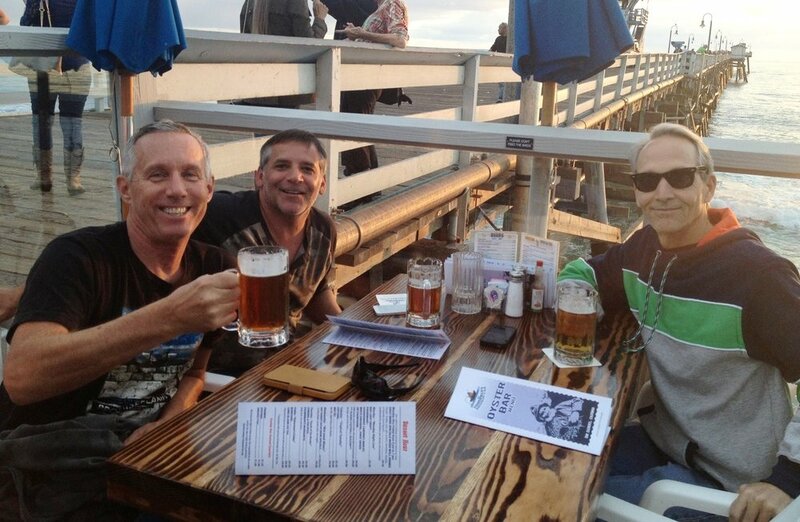 Beer and Burgers on the San Clemente Pier, just one of the favorite places you'll never forget! If you are coming from within the United States, we recommend you fly into Orange County Airport (SNA). San Clemente is only 30 minutes from the Orange County airport. You can take a shuttle or Uber (recommended). If you are coming from outside the USA, you should fly into Los Angeles International (LAX). Los Angeles airport is about 90 minutes from San Clemente depending on traffic. Once you arrive in San Clemente, you won't need a car as we will provide all transportation to the surfing excursions, and you can easily walk to shops, restaurants, markets and cafes just minutes from the Holiday Inn, where we recommend you stay. You might even run into Kelly Slater or Gerry Lopez, along with other pro surfers who are frequently seen around town and out surfing. That's just one of the insider secrets we'll share as you dive into the Yoga for Surfers® lifestyle -- mind body, spirit, surf! You'll make lifelong friends with other people from around the world who are passionate about surfing + yoga!